Kandy Paint Records Terry Terell Brisco, aka Mississippi Sipp, began his career by distributing his records through a small Leland,Ms Area record label. He started out in Arlington,Virginia where his mother resided. Despite being on the East Coast, Mississippi Sipp maintained his connections to the South through his Grandmother and Uncles who remained in Leland,Mississippi. Terry “Mississippi Sipp” Brisco signed his lifetime friends and family Big Mook,Black Dog Puna,Reign (his half cousin) & Marchello “Clak” Wright. Later he and Big Mook (along with his uncle Iceburg) went on to form the group KPR. During the early 2000’s, Mississippi Sipp released a few solo albums Cadillac Dope Boy & Tawk Real Da Album, with very much success. 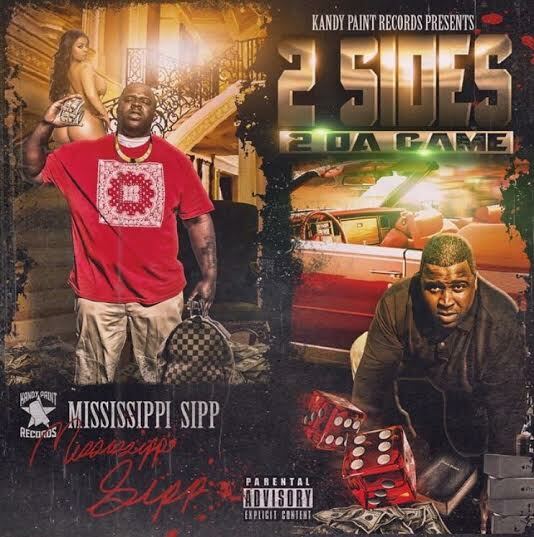 However, Mississippi Sipp was able to garner notoriety for himself and Kandy Paint Records in the South by collaborating with various mississippi artists and through his shop compilation albums One Percenters,Pimp Tendency & Kandy Paint Records 5 Stars. Following his success on the East Coast in May 2005, Mississippi Sipp decided the time was right to expand his label. After signing several digital online deals and a Internet buzz thats so big. 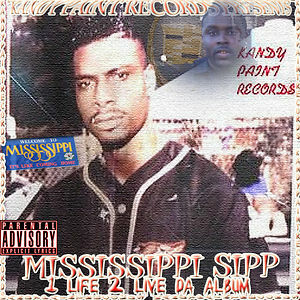 Mississippi Sipp moved Kandy Paint Records and set up in Leland,Mississippi. He brought his sister,management and entourage. In 2011, Kandy Paint Records plan to sign a huge digital distribution deal with Apple to distribute Kandy Paint Records music. Mississippi Sipp will maintain ownership of all of his master recordings,publishing and his studio. He also became the label’s main artist, and also will releasing the album 1 Life 2 Live later this year. By 2013, Kandy Paint Records will grow to consist of Mississippi Sipp, Big Mook, Black Dog Puna,Reign,& Clake. Mississippi Sipp also writes,produce,direct,act and screen write. This started his movie career which will lead to films such as Rise 2 Fame & Welcome 2 Leland. Big Mook, Golden Boy, debuted at Number One in the streets.Many of the Kandy Paint Records artists will reach longevity and complete other projects. By 2013, it appears that the focus of Kandy Paint Records was unlimited to the Leland Mississippi family. This notion was further strengthened with the release of his artist, Black Dog Puna self titled debut album. On January 12,2014, the company buzz was so large that they literally had the Internet going nuts. Mississippi Sipp realized it is more sensible to continue to run Kandy Paint Records and organize and finance the company with profits from Digital Downloads & Club Appearance sales. He named his publishing company “Pure Players Entertainment”. By 2016, the organized label has full ownership. Kandy Paint Records look forward to developing its very own distribution company, Cross Da Bay Entertainment.